Founded in 1954 by upholsterer Erik Joergensen, Erik Joergensen Moebelfabrik has become a brand with a history that spans decades and generations. 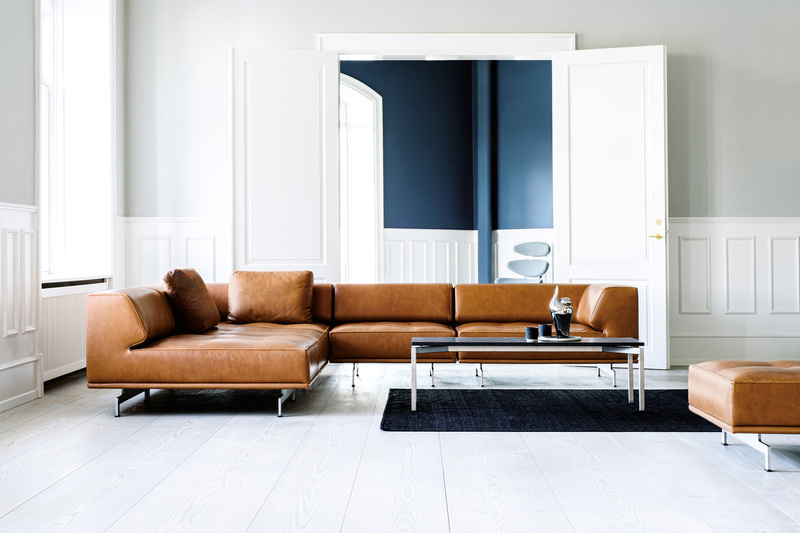 For the first time, the company is showing its renowned Danish design classics as well as its latest news when joining forces with Kasthall in their New York showroom. - We are experiencing a great interest in classic design, in particular in New York, which is characterised by modernism and functionalism. The soft and rounded shapes of Danish design are a big draw that appeals to the American market, explained Niels Joergensen, CEO and second-generation owner of Erik Joergensen Moebelfabrik. Kasthall and Erik Joergensen Moebelfabrik share many of the same values. Craftsmanship and quality are equally important to both brands and both have a high interest in design and a shared desire to be innovative within their field. Kasthall was founded in 1889 in Kinna in Sweden, where production is still ongoing today. The same is true for the production facilities of Erik Joergensen Moebelfabrik, which is also still based in Svendborg in Denmark, where it all began in 1954. - We are happy to once again collaborate with Erik Jørgensen, this time in our New York showroom. The concept of Scandinavian design was born in the 50's and is even more relevant today. The Scandinavian simplicity, craftsmanship and functionality is something that both Erik Jørgensen and Kasthall have in common. This collaboration felt like a perfect match, says Sara Althini, Kasthall Marketing Director. From October 2017 until January 2018, you can experience Erik Joergensen's furniture in Kasthall's showroom. The classic Ox and Queen Chairs designed by Hans J. Wegner are on display together with the beautiful Delphi Sofa designed by Swiss designer Hannes Wettstein, which celebrates its 10th anniversary this year. Also, the Insula Side Table designed by Danish design duo Ernst & Jensen will be in the store. In 1999, Danish design duo Foersom and Hiort-Lorenzen designed the EJ 65 and EJ 66 coffee tables, which are classic minimalistic tables. We have just launched a new lower and smaller version of these tables with a brand-new marble surface, which can be experienced during the pop-up as well.